New Zealand's Jiayi Zhou has made a major comeback to move in to the final and put herself one step away from Buenos Aires. 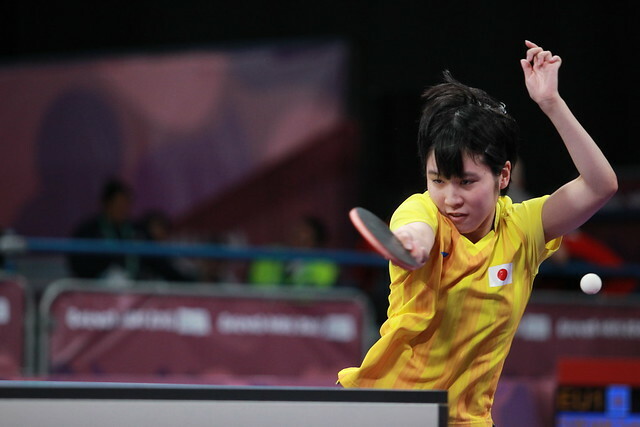 Jiayi Zhou is running hot this morning in Bendigo, coming back from three games down to defeat Michelle Wu and move in to the final of the ITTF-Oceania Youth Olympic Games Qualification Tournament in Bendigo. Wu looked to have the match in the bag after taking the first three games. But the young Kiwi ground her way back in to the match, playing acrobatic chops three metres back from the table. The win sets up a surprise all New Zealand final. Hui Ling Vong has moved in to the final round undefeated, and Zhou will need to pull off another upset if she is going to take the ticket to Buenos Aires from her teammate. Meanwhile in the Boys’ Singles the semi-finals are set with Australia and New Zealand clashing in both halves of the draw. Top seed Benjamin Gould will face the undefeated Nathan Xu, while Mateo Dvorani is up against Yanglun Zhao. Check out the full results from the Boys’ Singles and Girls’ Singles.